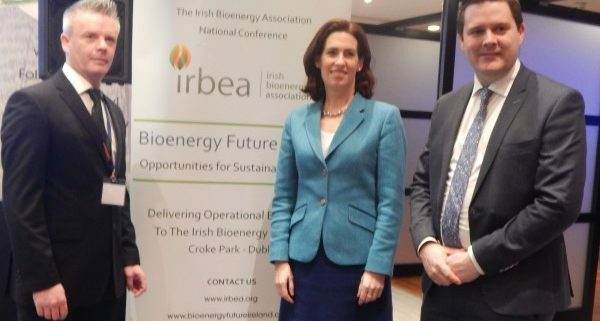 The Irish Bioenergy Association (IrBEA) warmly welcomes the confirmation that the EU has formally approved the state aid application for the Support Scheme for Renewable Heat (SSRH). This scheme needs to open immediately in response to the state aid approval. 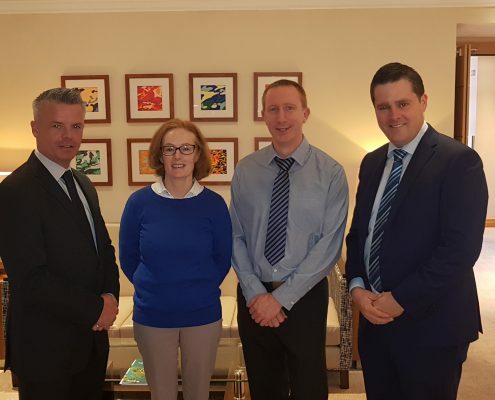 IrBEA has lobbying for many years on behalf of its members for the full implementation of the SSRH scheme which presents many opportunities for the Irish heat sector. The SSRH will help to decarbonise the heat sector, encourage the move from fossil based to biomass based heating systems, while assisting in our obligations in terms of renewable heat targets. Farmers particularly in the pig, poultry and horticulture sector will benefit. Heat users in the non-emission trading, non-single domestic, commercial, industrial, agricultural and public sectors will also benefit from this scheme. The scheme will pay an operational aid based on eligible heat use which reduces as heat output increases. The need for the government to immediately open the main support Scheme for Renewable Heat (SSRH) and to progress with a feed in tariff for biogas were the top priorities for delegates attending todays Irish Bioenergy Association (IrBEA) conference held at Croke Park. The theme of the conference sponsored by CPL Industries and DWF is ‘Mobilising Bioenergy with Policy and Action’. The conference brings together delegates from across the main bioenergy sectors of biomass, biogas, biofuels and energy crops who gather to discuss the actions needed to mobilise the bioenergy industry with a particular focus on technology, investment and the climate change agenda as we transition to more renewables and sustainable energy sources. The potential for the bioenergy sector in Ireland is huge and swift government action on bioenergy policy can accelerate economic growth, sustain thousands of jobs especially in rural areas, improve environmental quality, drastically cut CO2 emissions, assist in meeting our international renewable energy commitments and avoiding EU fines. Opening the conference, Chair of the joint Oireachtas Committee on Communication, Climate Action and Environment Hildegarde Naughton T.D. updated all attendees on the work of her committee and the role bioenergy can play in addressing the climate change challenges facing Ireland. In his presentation President of the Irish Bioenergy Association Des O’Toole and Coillte’s Biomass Development Manager highlighted the potential for forestry and biomass as key elements of our bioenergy sector. Mr O’Toole said “The bioenergy sector is a key part of the overall forestry ecosystem and has an important part to play in its growth. 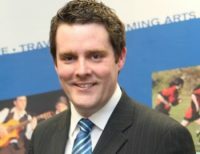 As well as contributing towards Ireland’s ambitious renewable energy targets and Ireland’s transition from a fossil-fuel based economy to a low carbon economy, the expected growth in demand for biomass will be a key outlet for the increased supply of fibre projected over the next 10 years’’. Paddy Phelan Vice President of IrBEA said “Clear and obvious economic benefits of the local energy supply chain and it’s natural position as a low carbon energy supply, which will future proof us within the Renewable Energy Directive II requirements of less than 60g of CO2 per unit of energy produced by 2026 on the island Ireland”. IrBEA actively promotes the huge potential for development of a meaningful biogas industry in Ireland. For a biogas industry to be stimulated it will need a government support in terms of a feed in tariff. A high percentage of a tariff provided would go directly back to farmers in rural Ireland for the purchase of feedstock by biogas operators. 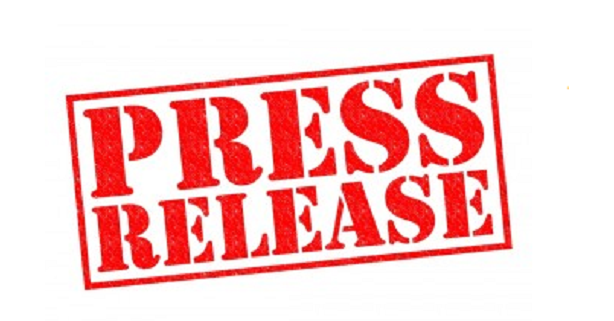 The Irish Bioenergy Association (IrBEA) released a press release this week welcoming the statement made on Climate Change by Minister for Communication, Climate Change and Environment Richard Bruton T.D. but are disappointed that it lacks specifics and a focus on the potential for renewable energy in addressing climate change. Climate action is not only a challenge but also a considerable opportunity for Ireland to become a leader in this space. We are in real danger of losing our green image with the lack of action over the past 15 years. Many long term plans and targets have been set for 2008, 2012, 2015, 2020, 2030 and now 2040. IrBEA empowers Minister Bruton to show progress on emissions targets within his own ministerial timeframe. 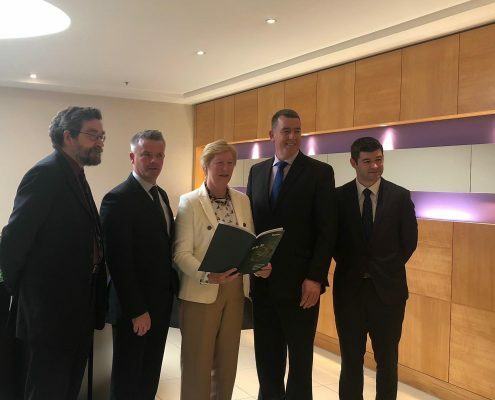 A comprehensive report from leading energy and utilities experts Baringa says it is technically possible and cost neutral to the consumer for Ireland to use renewable energy to supply 70 per cent of our electricity by 2030, which would go a long way towards reaching the EU target. A summary of the report can be found here. In September the Joint Oireachtas Committee on Climate Action began meeting to respond to the calls from the Citizens’ Assembly earlier this year for Ireland to become a leader in tackling climate change. Currently, approximately 30 per cent of Irish electricity comes from renewables and while Ireland will fall short of its overall 2020 target it is expected to still reach its 40 per cent electricity target. Ger Devlin CEO of IrBEA is presenting at the Power Summit on Tuesday 30 January in Croke Park, he will be speaking in the Heat: Policy and Heat Initiative Session at 11.15am. His presentation ‘Support Scheme for Renewable Heat Opportunities for Sustainable Bioenergy Development in Ireland’ will discuss the recent announcement on the SSRH, which is a very welcome development for the bioenergy sector in Ireland, one that has been stagnant for almost 5 years since 2013. There will be new opportunities now to stimulate growth for businesses in the biomass supply side and indeed for the biomass technology provider of which we have many as members of the Irish Bioenergy Association. As well as helping to meet the EU heat targets of 12% (currently 6.8%) by 2020 it will play a role in reducing potential fines come 2020. This session will present how the tiered rates are going to work and what opportunities exist for industry to make the switch to greener heat and power using biomass. The Irish Bioenergy Association welcomes the introduction of the long awaited Renewable Heat Incentive (RHI) today by the Minister for Communications, Climate Action and Environment, Denis Naughten TD. An RHI scheme was first officially conceived as part of the Bioenergy strategy consultation in May 2013, and formally announced in the October 2014 Draft Bioenergy Plan but was never delivered. After much lobbying activities and design consultations by IrBEA and other players in the bioenergy sector in the interim, the biomass industry will now see an RHI scheme live in 2018. “This is a very welcome development for the bioenergy sector in Ireland, one that has been stagnant for almost 5 years since 2013 whereby many Irish companies have subsequently gone out of business. There will be new opportunities now to stimulate growth for those businesses in the biomass supply side and indeed the biomass technology provider of which we have many as members of the Irish Bioenergy Association. As well as helping to meet the EU heat targets of 12% (currently 6.8%) by 2020 it will play a role in reducing potential fines come 2020. It is perhaps disappointing not see any support for biomethane gas grid injection from AD in this phase but there are still supports for AD heating technologies and of course biomass heating technologies which is a positive. Certainly the ambition to have a scheme open to applicants in 2018 is welcome, but this Government approval is still subject to EU state aid approval. The tiered rates are generally positive but they do not favour the larger type installations offering a subsidy of only 0.05 c/kWh which is where the biggest opportunity exists to close the gap in the renewable heat target” says Ger Devlin IrBEA CEO. The scheme will support the adoption of renewable heating systems by commercial, industrial, district heating and other non-domestic heat users at sites not covered by the emissions trading scheme. There are also installation grants available up to 30% for the installation of heat pumps. A separate budget would be favoured for such a grant scheme.